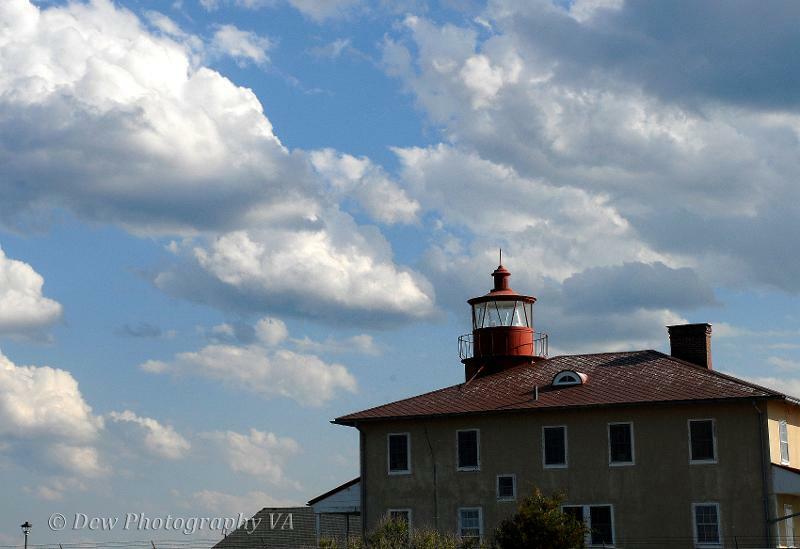 The Point Lookout Lighthouse would be the reason for heading to Point Lookout on this beautiful Spring day. Yet, there would be a small disappointment because the lighthouse is denied entrance except on specific days; which they announce on the gate because they vary. The lighthouse is surrounded by a large ugly fence. It became my goal to get a picture of the lighthouse with as little of the ugly fence showing as possible. I believe the "Life of Picture" Point Lookout Lighthouse picture achieved this goal. The Dew Photography VA bodyguard, i.e. hubby supplied history of the lighthouse while there. The lighthouse is said to be haunted. However, the most interesting thing about this lighthouse is Ann Davis. Ann would be the first female lighthouse keeper at the Point Lookout Lighthouse. She would assume the position after her father's death. James Davis, Ann's father kept charge as the first keeper at Point Lookout from its opening in September 1830 until his death in December 1830. Ann kept charge of Point Lookout until her death. Her successor would be known as a clumsy keeper according to the website, http://www.ptlookoutlighthouse.com.